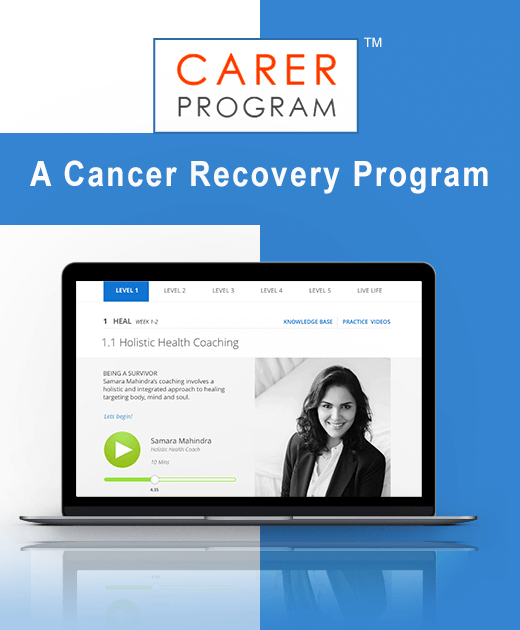 The Carer Program is a one of a kind cancer recovery and rehabilitation program that uses an online platform to deliver holistic therapies for cancer patients post their treatment. GoodWorkLabs team first understood the technology and design requirement that would make the platform user friendly. We gave special attention to minute details such as color codes, fonts, background textures etc keeping in mind the persona and state of mind of users who will be using the platform. The design had to create a very soothing effect and connect with the user at a sub-conscious level. Samara Mahindra, the Founder of the Carer Program recently shared her experience of working with the GoodWorkLabs team. With the help of lean UX methodologies, we worked towards creating a soothing yet impactful design with excellent user interactions. Here is a snapshot of the designs we created for the Carer Program.